Bubble Crackle. 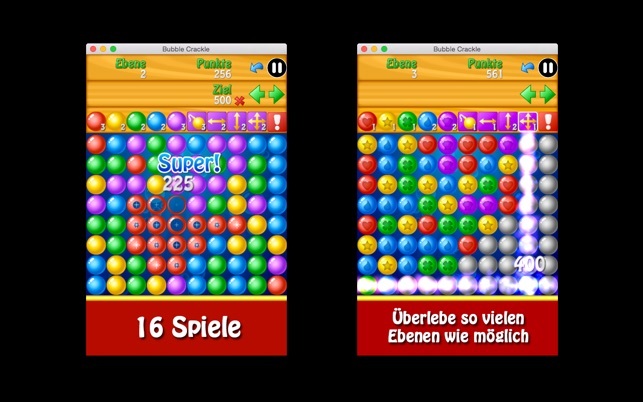 Spaß Spiel, wo man Gruppen von Blasen der gleichen Farbe zu bilden muss, um sie zu beseitigen. 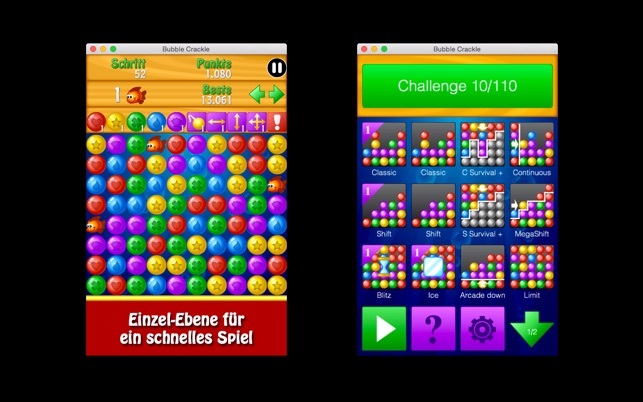 Bubble Crackle is a very addictive game where you have to beat your high score. Get as many points as possible by popping bubbles of the same color. The larger the group of bubbles is and the bigger are your points. The game was crashing for some people when loading a saved game. It should now be fixed.